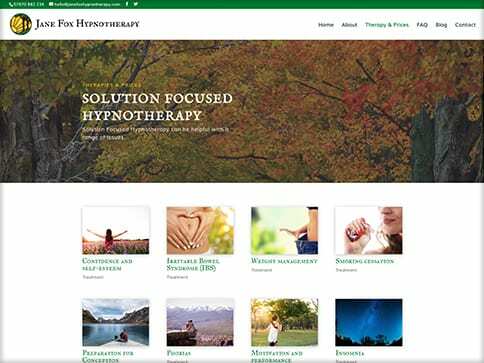 Jane Fox Hypnotherapy is a solution focused hypnotherapist based in Stockport Cheshire. Nettl of Stockport’s challenge was to create a visual identity starting from there existing logo design. Working closely with Jane, we developed the branding and print collateral which followed common design themes and colour palettes. 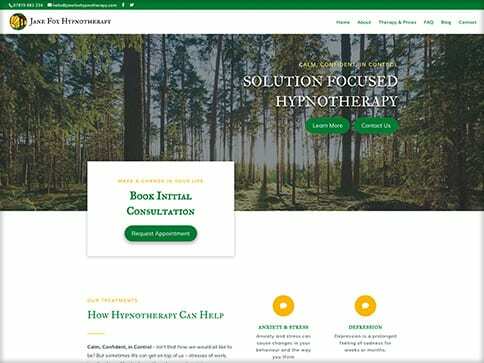 This branding gave us a great template to create a brochure site which clearly explains the benefits of hypnotherapy, Janes credentials and how to get in contact to book an appointment. 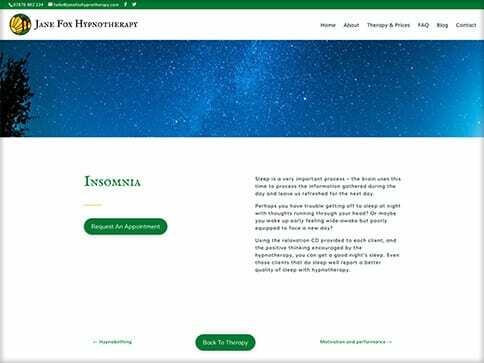 Nettl of Stockport developed this website with a ‘CMS’ which allows Jane to edit and add new treatments as well as add blog posts.